It’s that time of the month again… another carpet cleaning offer… and the opportunity to get a free carpet clean! August is one of our busiest months – we clean a lot of schools during this time, and people also like to come back to clean carpets from their holidays.. so make sure you book in quick! Call us on 01245 323989 to claim this fantastic offer! Careclean are proud members of the National Carpet Cleaners Association. In order to become a member, we had to be fully trained in carpet and upholstery cleaning. We also had to be fully trained in stain removal. Careclean was established in 1984 by Julie & Kevin Barber. In the old days, when Kevin and Julie’s children were young, Kevin managed the business. However, over the years Julie has played a more active role. 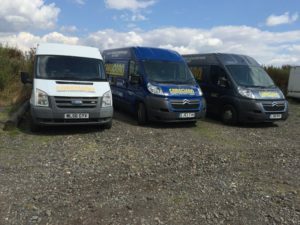 Careclean now has 8 employees and 3 fully equipped vans. The third van we decided to take on a back-up and so we can fit in urgent jobs. So, if you are in sudden need of a clean, we just might be able to help you! How do I claim my free carpet clean again? 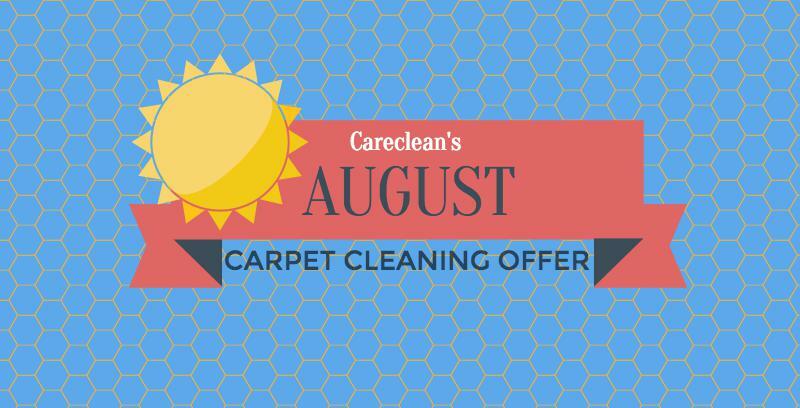 To claim your free carpet clean, give Careclean a call during August on 01245 323 989 and quote this offer. We will then arrange for one of our team to come out and give you a free quote. Once you have booked in to have your 3 piece suite cleaned, you will get a carpet of your choice cleaned for no additional cost! Read more about our carpet cleaning services. Do you have a newsletter that I can signup for so I can get your special offers in a timely manner?